exSILentia is exida’s response to the pressing need for comprehensive safety lifecycle management solutions to manage the increasingly prescriptive safety regulations and standards. Captures and institutionalizes corporate knowledge. 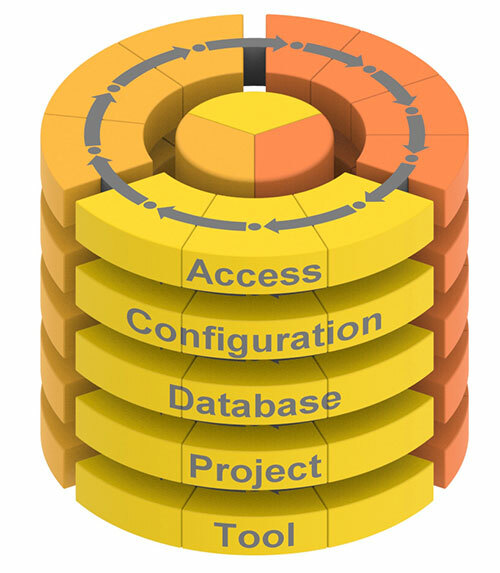 Access of tool, project, or enterprise data by CMMS or ERP platforms. Event frequency and industry failure databases are accessible with the click of a button, reducing time required to complete analysis and design calculation. 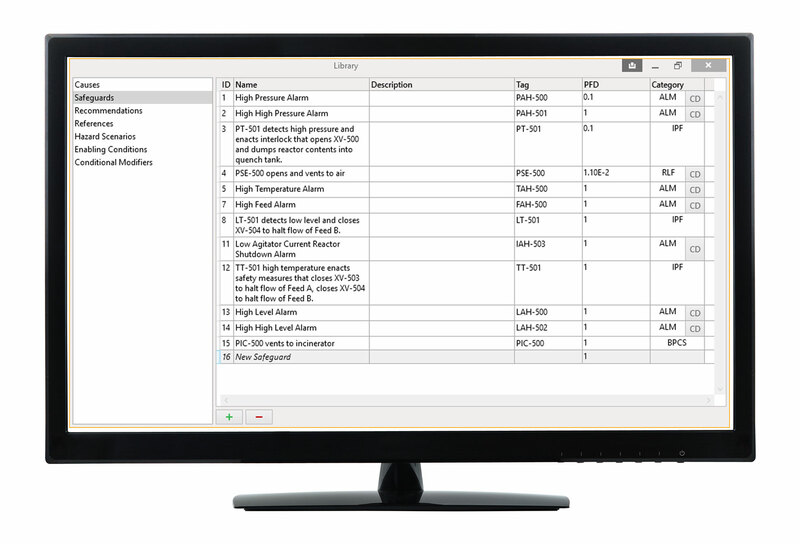 User inputs are stored in enhanced libraries for quick reference and re-use such as causes, safeguards, hazard scenarios, recommendations, etc. 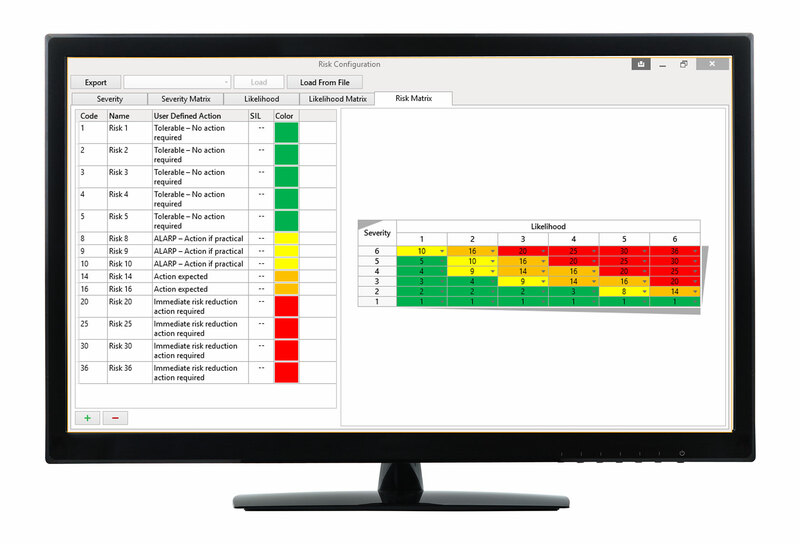 Project specific definitions of likelihood, severity, as well as the risk matrix can be customized by the user to accommodate different processes and company standards. Reports are generated automatically to document and communicate the findings of each task, allowing project personnel to move quickly to the next phase. The exSILentia® DeltaV™ SIS Configurator plug-in takes a conceptual design, configured in the SIL verification tool SILver™, and converts that configuration into application program logic for use in a DeltaV™ SIS system. The SIL verification of a conceptual design is a key step in the safety lifecycle. In order to determine the achieved SIL, users must model the structure of a SIF and account for application level settings. The completed conceptual design defines the input requirements for the application program to be created in the logic solver. exSILentia can be scaled to fit your project and budget needs. Licensing is based on the number of users using the software concurrently. For each license, there are no limits to the number of projects analyzed. Each project can have an infinite number of SIFs identified, modelled, and monitored making it the most cost effective solution. 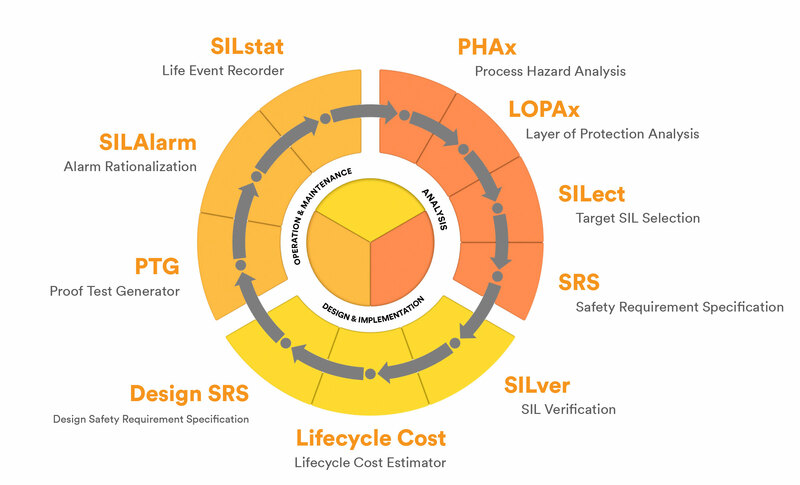 The exSILentia® integrated Safety Lifecycle Engineering Tool is a powerful aid for any engineer involved in safety lifecycle tasks such as SIL selection, Safety Requirements Specification, and SIL verification.